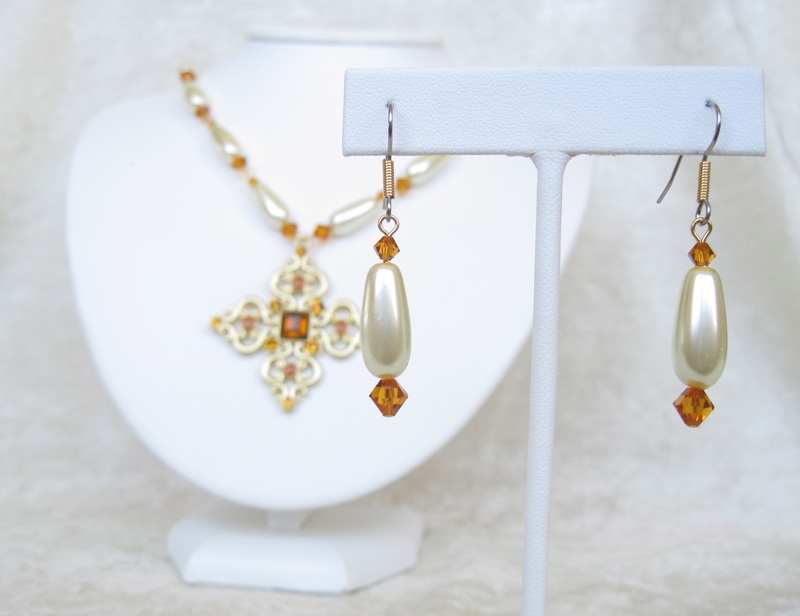 Graceful, shining necklace and matching earrings featuring glowing teardrop shaped glass pearls and glittering Austrian crystal accents. 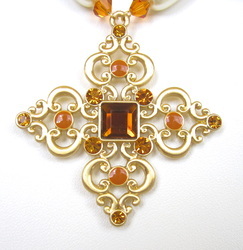 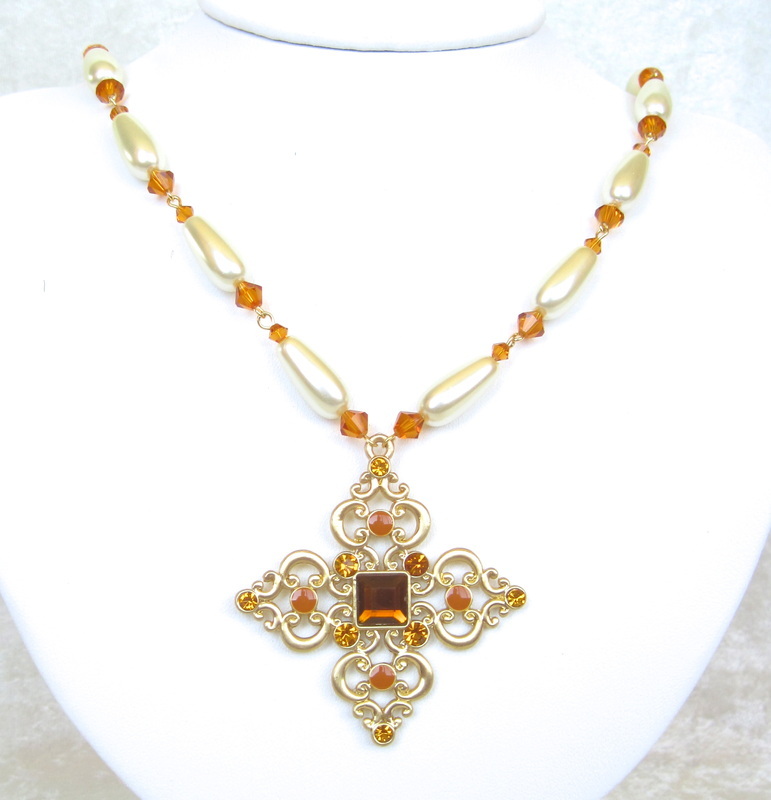 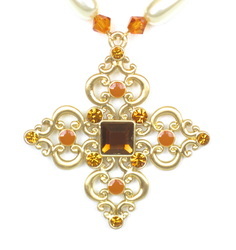 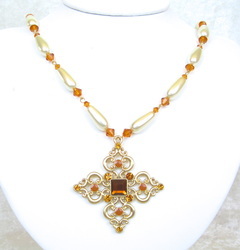 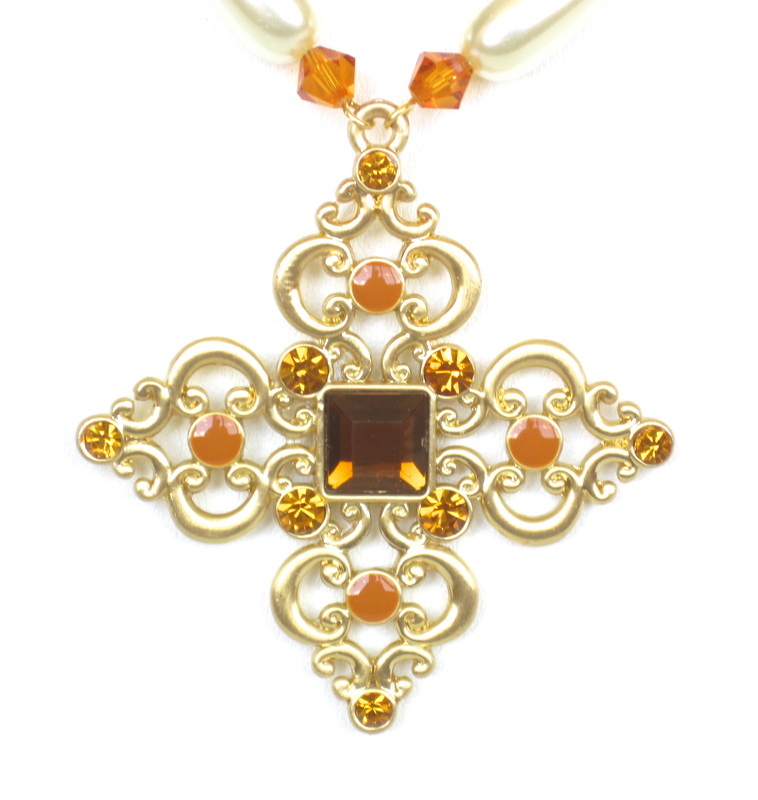 An ornate medieval style golden cross set with rhinestones and enamel forms the focal point. 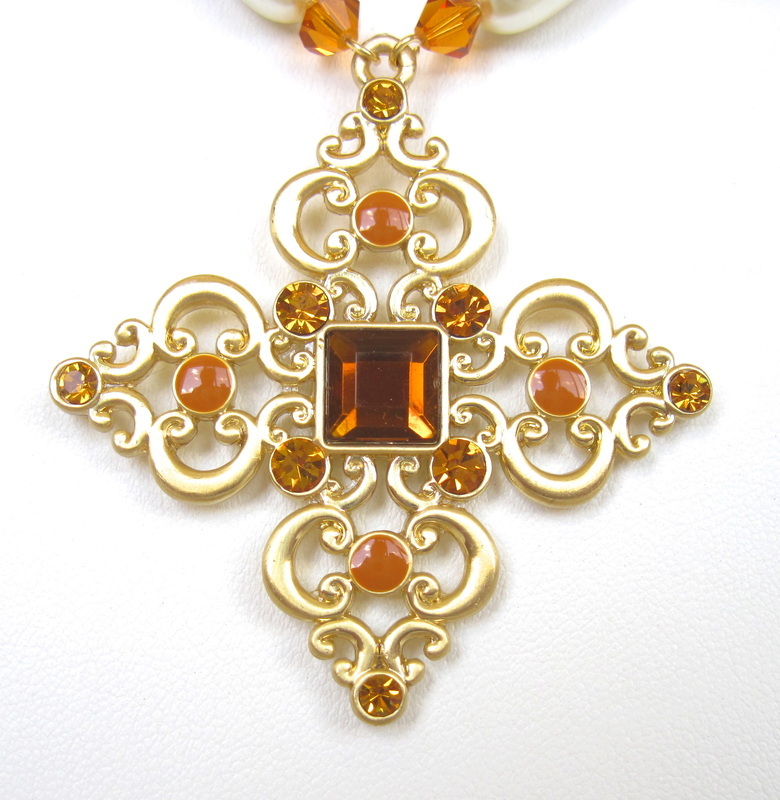 A special piece for your special garb! 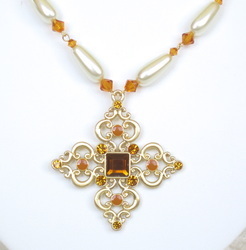 The cross measures 2" x 2", the necklace is 22" around, and the earrings dangle 1" below surgical steel french ear wires.